I’ve been aware of the Icelandic singer/performer Bjork since the first album by her band Sugarcubes was released in 1986, but aside from what a person who pays somewhat close attention to modern music can’t help but absorb through the pop culture ether, I didn’t know / care much about her / her music before making the trip to the Museum of Modern Art at an earlier-than-usual hour on March 8th for the opening day of its much-hyped Bjork Retrospective. It wasn’t necessarily important to me to wake up at 6 AM on the first day of DTS (groan) in order to be among the first in the door of MOMA to see an exhibit that had already garnered puzzlingly negative reviews based on a press preview that I was somehow not invited to. But Geoffrey is a diehard fan, and, as such, he insisted we simply must go on that Sunday. Based on the few photos I’d already seen, it definitely looked like there would be lots of cool costumes and props, so how could we possibly not have fun, right? Plus, we always get in for free. Win win! 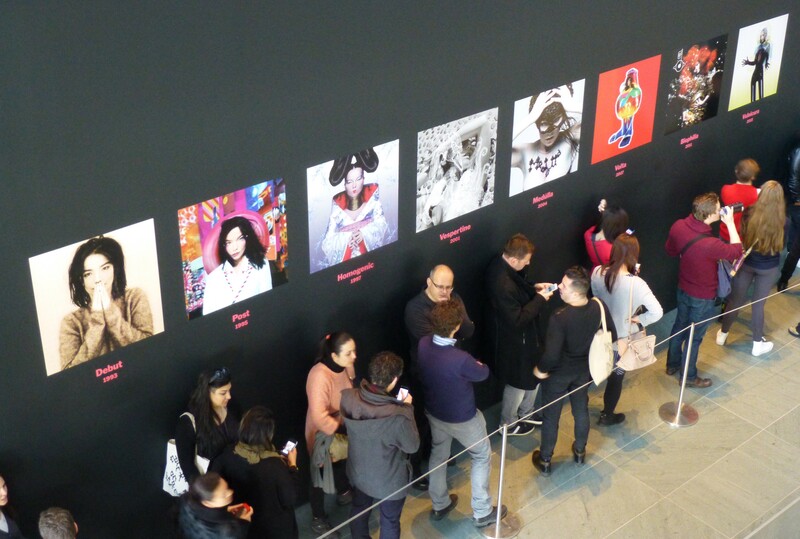 The Bjork exhibit has three parts. 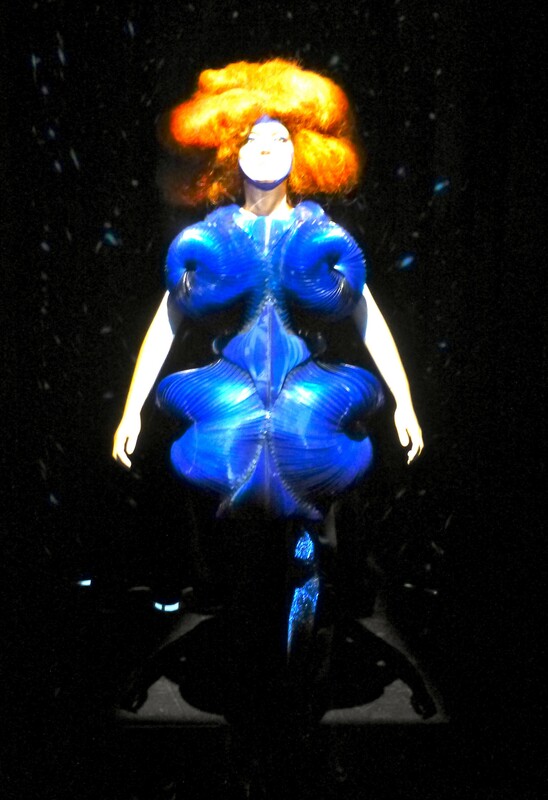 First, there is a cinema where you can watch a retrospective of all of Bjork’s videos, from Debut (1993) through Biophilia (2011). I will go back another time before the exhibit closes to check these out. 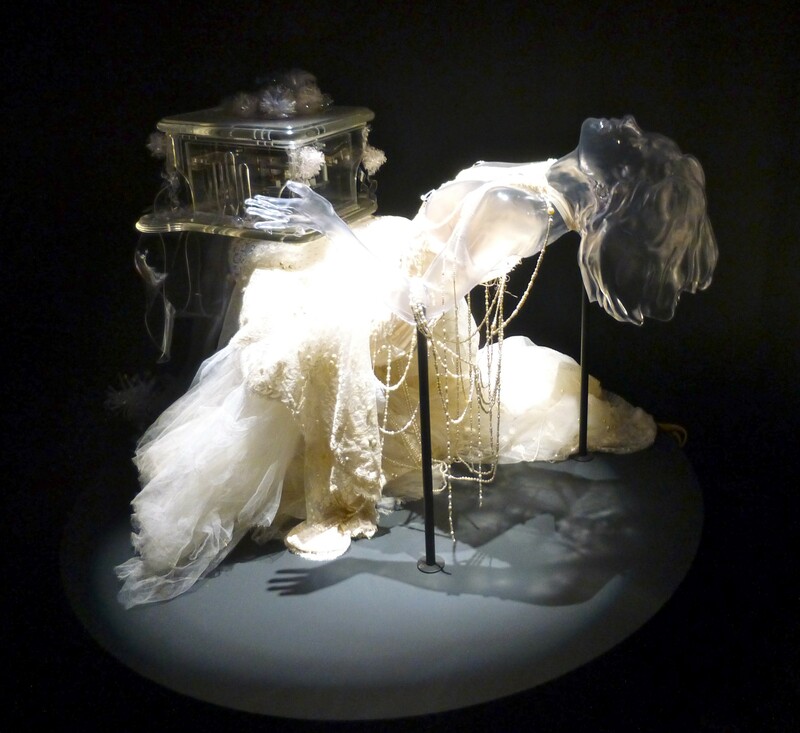 There is also a screening of a ten minute video for the song “Black Lake” that Bjork made especially for this exhibit. 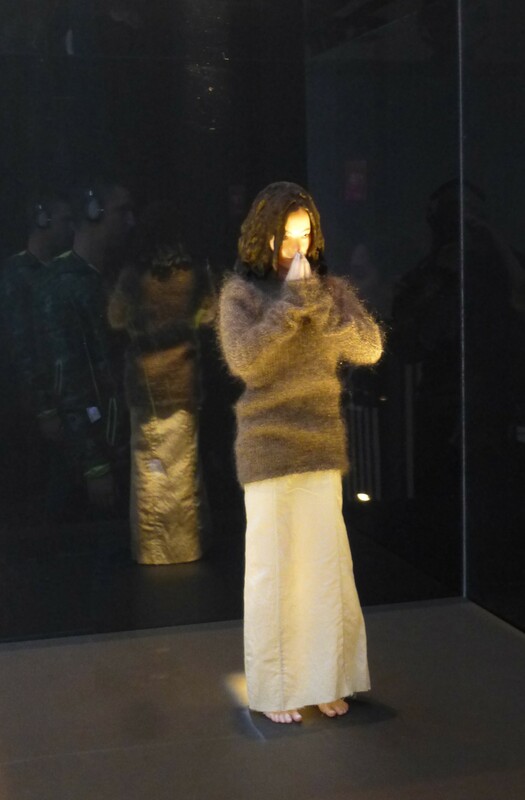 “Black Lake” is from her latest album, Vulnicura, which Geoffrey informs me is all about her breakup with long-time partner, Avant-garde artist Matthew Barney, who, bluntly put, is a bit of a weirdo. “Black Lake” is like a very dramatic mini opera, and the video shows extended shots of Bjork kneeling on the painful-looking rock floor of a cave, plus some other stuff. All I could think of was that I bet her knees hurt. You can tell that Bjork is a good actress and I enjoyed the video, although the song is a pretty big downer. 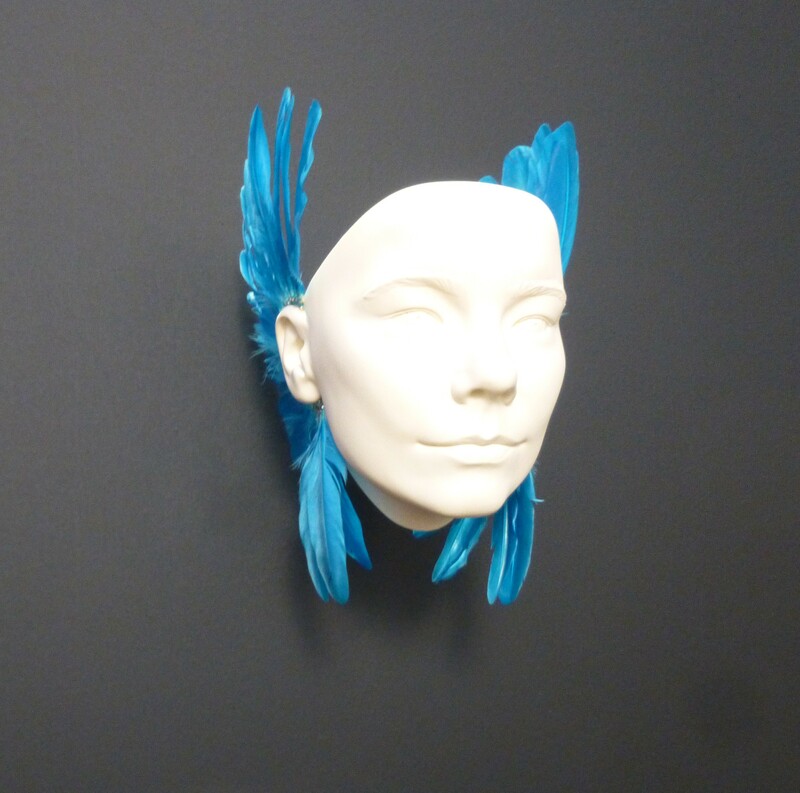 The main part of the exhibit is what everyone is calling “Bjork The Ride,” but which is really called Songlines. To get into Songlines, you need a separate, timed entry ticket that you will need to pick up at the front desk of the museum as soon as you get in. When we went, we had to wait in a line that was only about half a block down the 54th Street side of the museum, but I am thinking we were lucky that it was not much longer. We got our timed tickets at 11 AM and they were for the 12:45 PM entrance to Songlines. So we had one hour and 45 minutes to get “Black Lake” out of the way (total waiting and viewing time: 20 minutes) and then fart around in the museum for another hour and change. Finally it was our time to experience Songlines, and we were so excited we could barely live! You first enter through a darkened hallway where you can stand around and watch rows of monitors showing clips of performances from Bjork’s various tours, but who wants to do that? We wanted to get to the ride, man! Before you enter the labyrinth that is the Songlines exhibit, an attendant will equip you with an iPod thingy that hangs around your neck and plays Bjork’s period-appropriate music as well as a narrative / story about a magical princess, or something, as you walk through the various rooms. 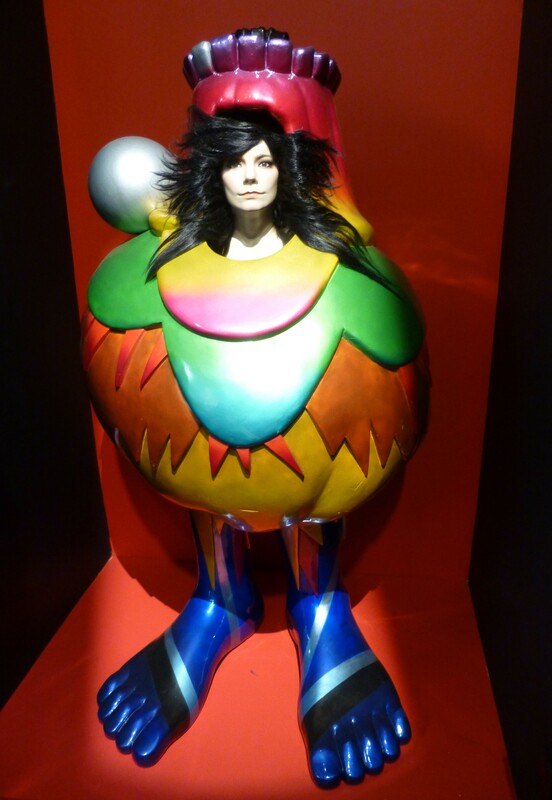 They will tell you that it takes about 40 minutes to walk the entire exhibit, and…you’re off on your Bjork Adventure! Each section is dedicated to one of Bjork’s albums. You will see costumes, props and personal items and you can take as much time as you want looking at everything. I enjoyed the princess story but it was a little disorienting to me with her music also playing over it. It reminded me of being on acid, to be honest. I am not going to be able to add much information here, because I don’t even own one of her albums, and I honestly only know three or four Bjork songs, one being “Army of Me,” which is a work of genius. Look! It’s baby Bjork! How cute is she? So Cute. This display reminded me of the Alexander McQueen exhibit at The Met that happened a few years ago, which was just insane. 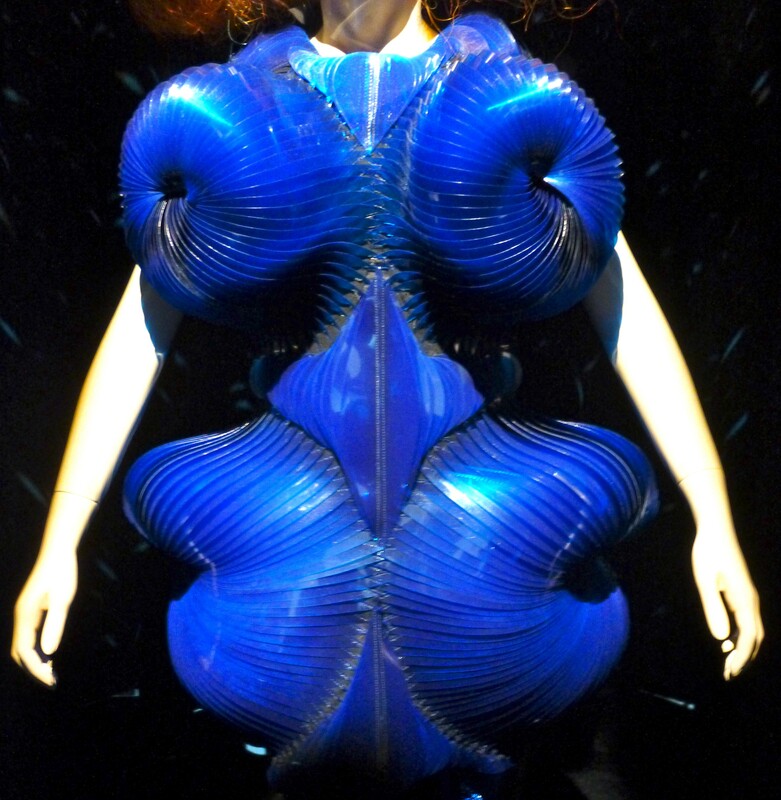 It is probably no accident that McQueen designed a lot of Bjork’s dresses. 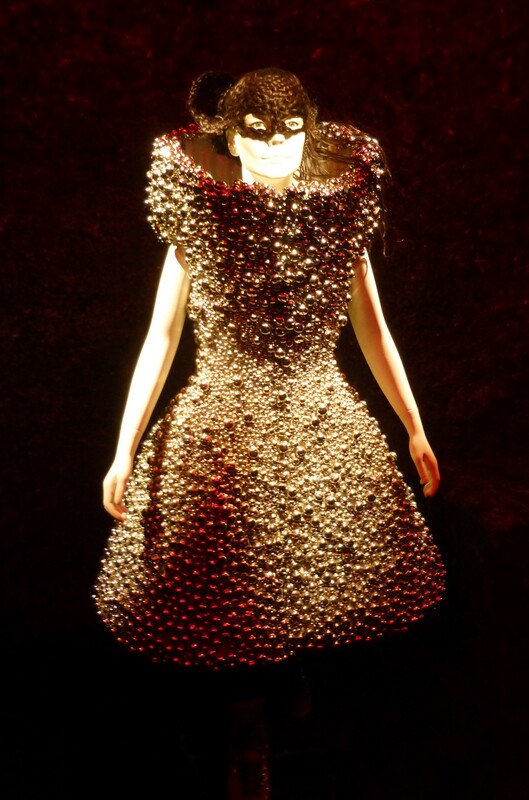 Remember this dress that Bjork wore to the Academy Awards a few years ago? Of course you do. This dress is just unbelievably gorgeous. 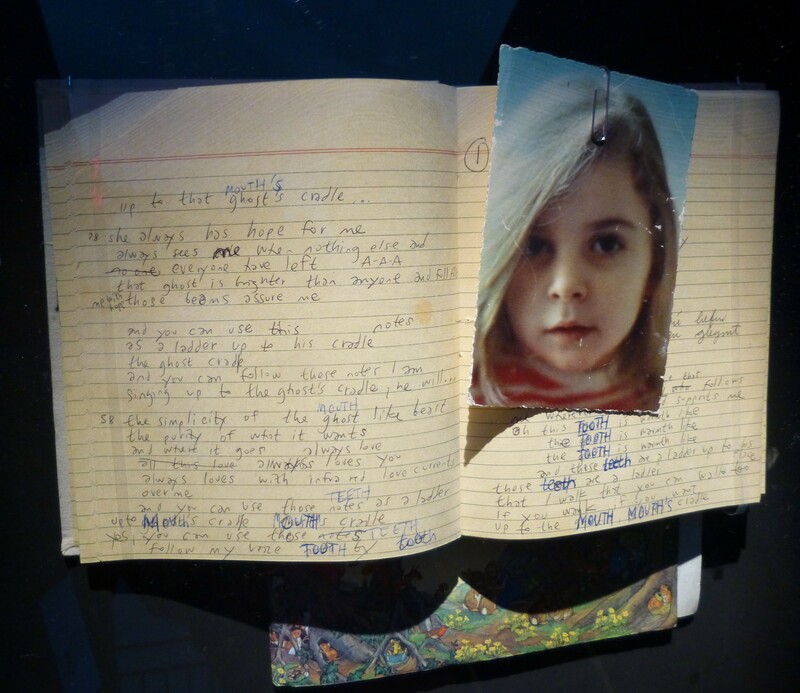 This is my favorite thing in the entire exhibit. I really thought that Songlines was just excellent, and I would recommend it to anyone, but Geoffrey offered his take on why a lot of Bjork fans don’t dig it. For him, when you consider that Bjork’s career has spanned thirty years (pre-dating her work with Sugarcubes), there was just so much left out that it couldn’t avoid being let down, and I admit that I see his point. So, I guess therein lays the rub. You’ll have to judge for yourself, but you should definitely go and check it out! 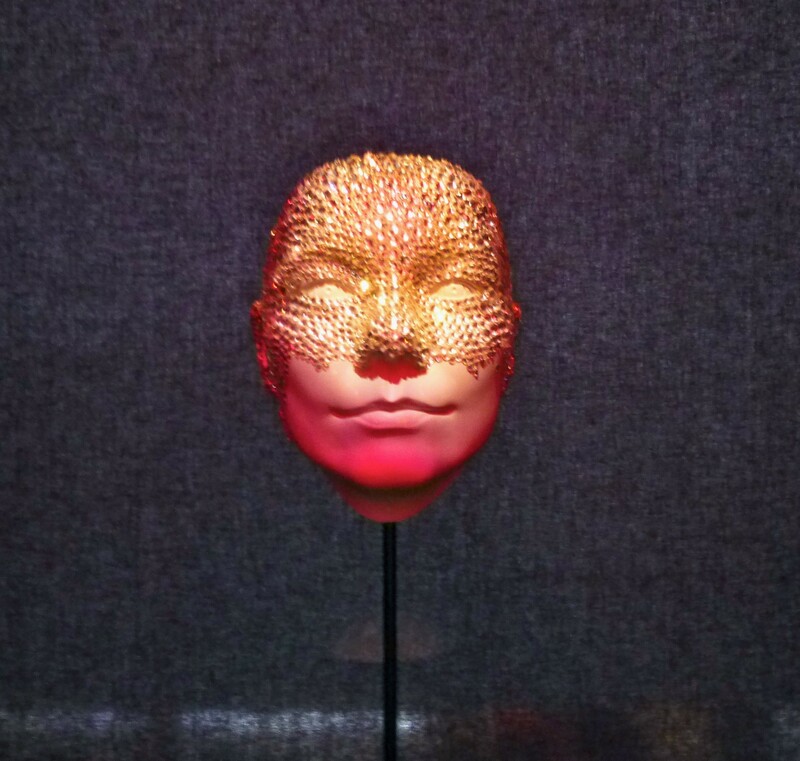 Bjork Retrospective will be on Exhibit through June 7th, 2015 at the Museum of Modern Art, Located at 11 West 53rd Street, Between 5th and 6th Avenues, in NYC. 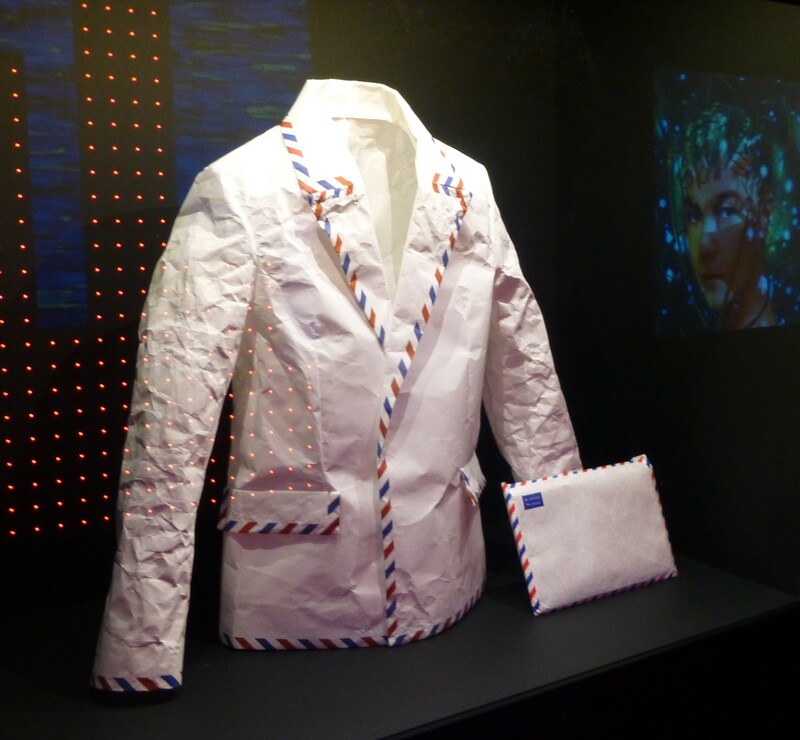 Read Geoffrey’s review, which is much more detailed from the perspective of an obsessed, Bjork-completist fan, at This Link! 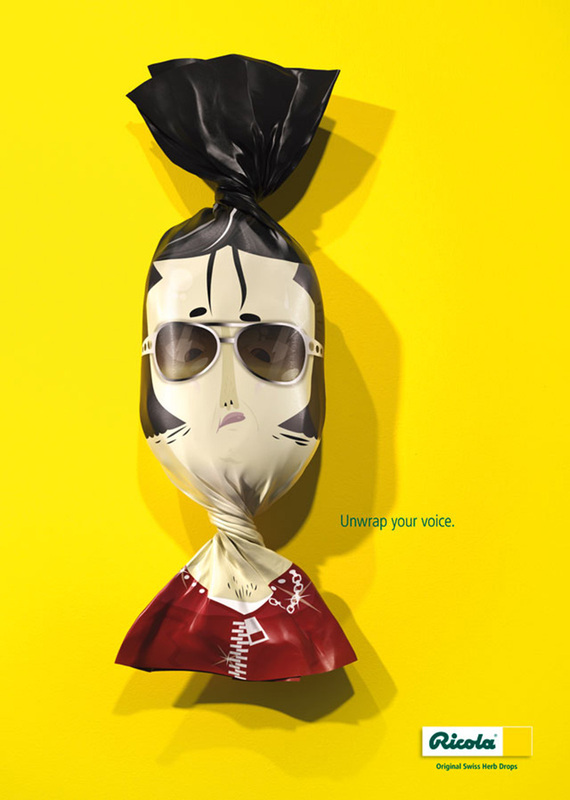 This likeness of Elvis Presley on a wrapper for Ricola Swiss Herb Drops was rendered by Julien Canavezes as part of Ricola’s “Unwrap Your Voice” campaign from German Ad agency Jung Von Matt. Singer Amy Winehouse was born on this day, September 14th, in 1983 (the year I graduated from college). 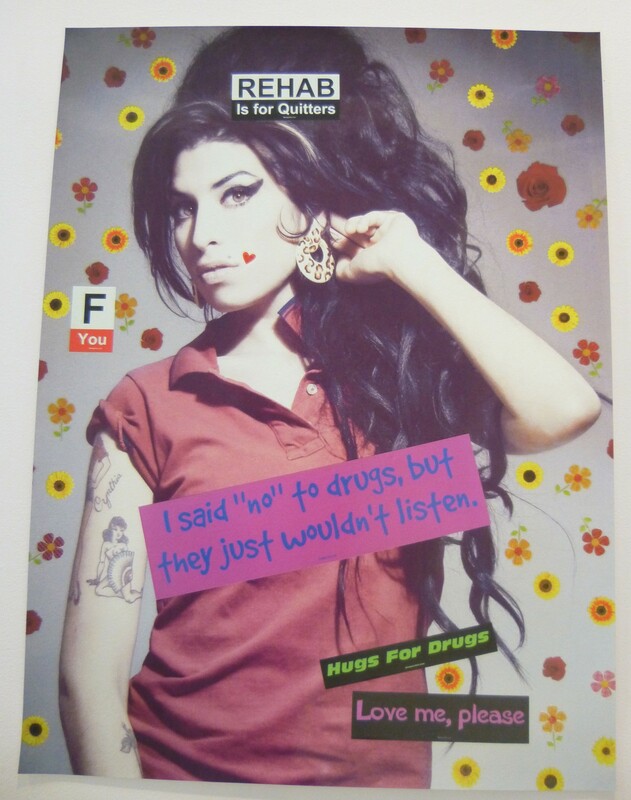 Amy was found dead at her home in London, England on July 24th, 2011. RIP. Christine “Chrissy” Amphlett, best known as the audacious lead vocalist of the Australian rock band Divinyls passed away on Sunday, April 21, 2013 at her home in NYC after a battle with Breast cancer and multiple sclerosis. She was 53 years old. 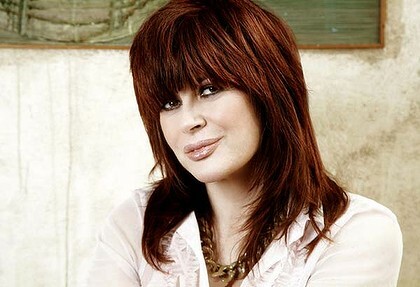 Favorite Divinyls Song: “All The Boys In Town.” RIP Chrissy. Pink Thing of the Day: Pink Shakira! I am so gay for Shakira. Reg Presley sang lead on what is probably the most-covered sixties-era pop song of all time, “Wild Thing.” And now he’s dead. 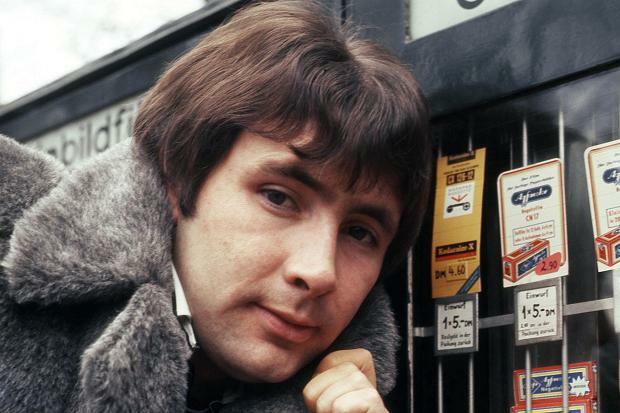 The Troggs’ vocalist has passed away on February 4th, 2013 at age 71 after a year-long battle with lung cancer. Read an engaging obituary recalling Presley’s life and career at This Link. Trivia: “Wild Thing” was written by Angelina Jolie’s uncle!